Well, my next post was supposed to be an update on my Marion for the MarionKAL but, this is much more fun! So, Andi asked us to name our favorite Fall sweater, which was not an easy task for me. 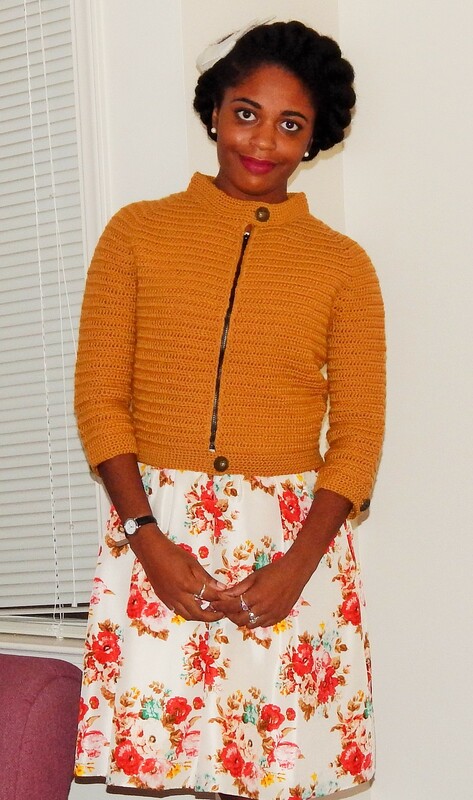 But, after much debate with myself I will reveal my favorite Fall sweater at the end of this post. Some did not make the cut. They are Marion (crappy yarn) and Shapely Boyfriend (gives me hip wings). I just want to say that I used to dread Fall season. It meant going back to school and cold weather coming in. However, when I started knitting this all changed. I feel like now my entire year is prepping for my Fall/Winter knits. Then, I get so excited when the season changes so, I can finally wear my favorite pullovers. So, let’s get started. Aiken – Definitely one of my favorite pullovers. I plan on making another one soon in a better yarn. 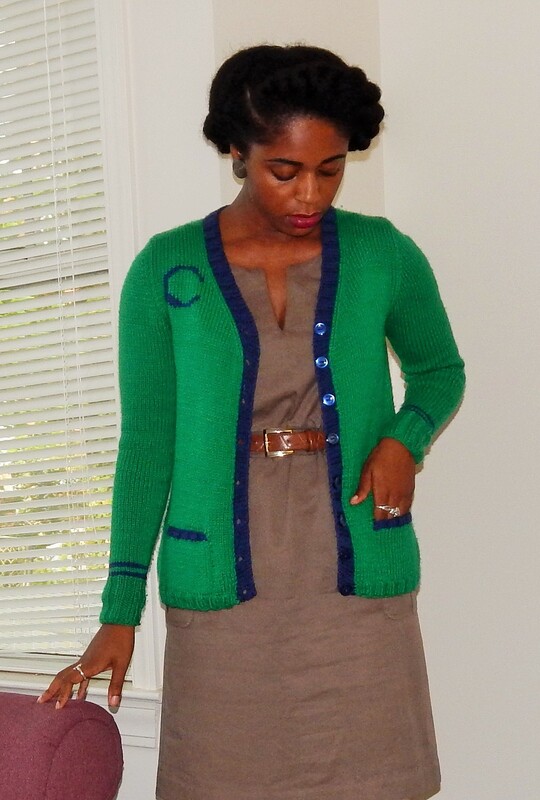 Beulah – This cardigan will always have a special place in my heart. 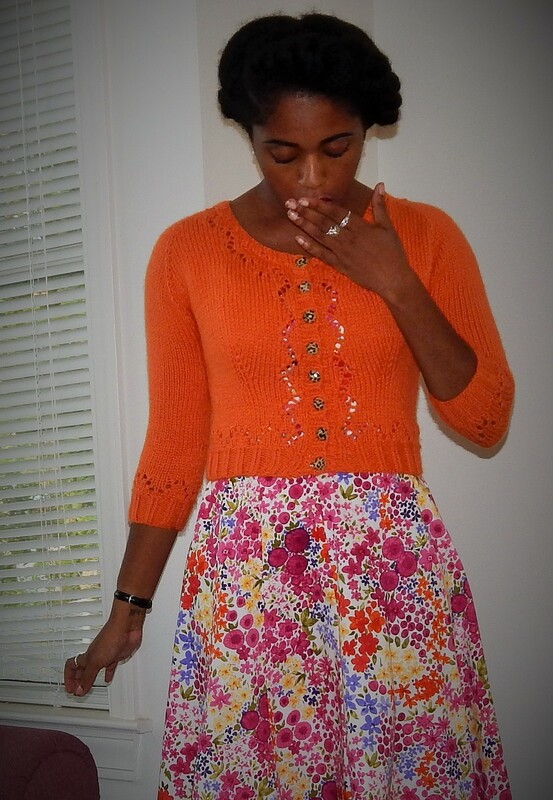 It was my first knit garment and it is still one of my most worn cardigans. I don’t see myself ever making another one because the seaming was the biggest pain! 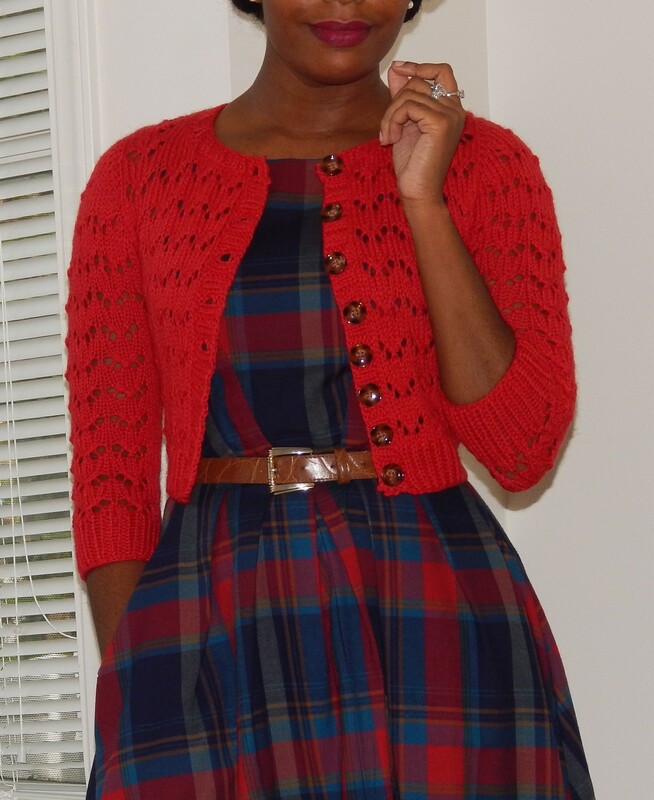 But, it looks like it was made for this dress I recently ordered from Modcloth (on sale at a great price). 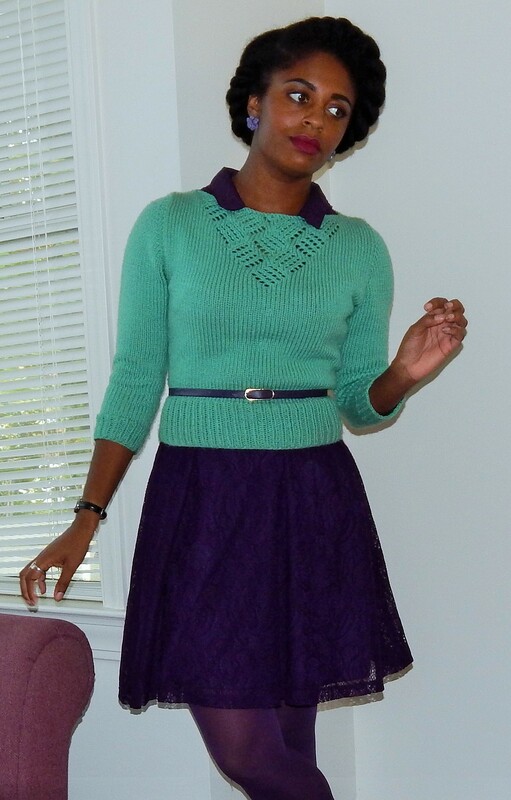 Chuck – This was my first challenging knit. My Daddy was wary of my ability to create this so, I set out to prove him wrong. This pullover features 2 of my favorites–cables and hot pink. 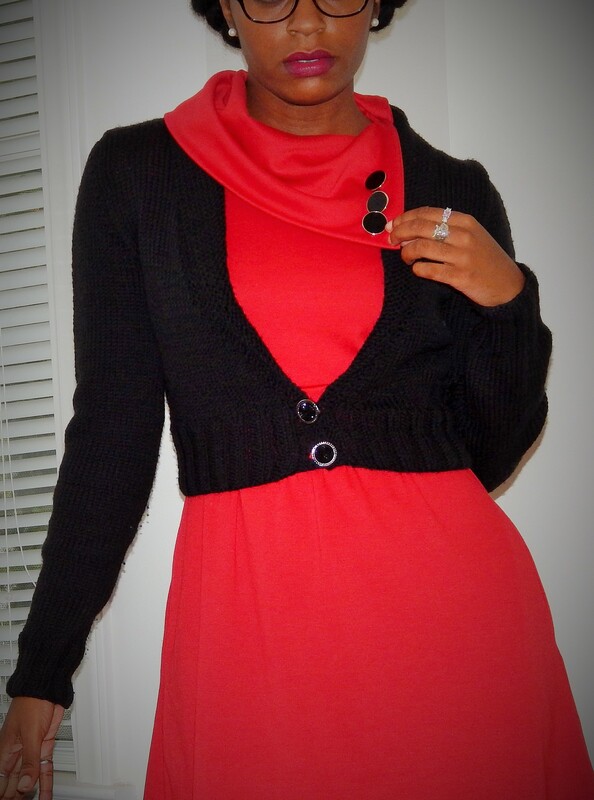 Hetty – I absolutely adore this cardigan! 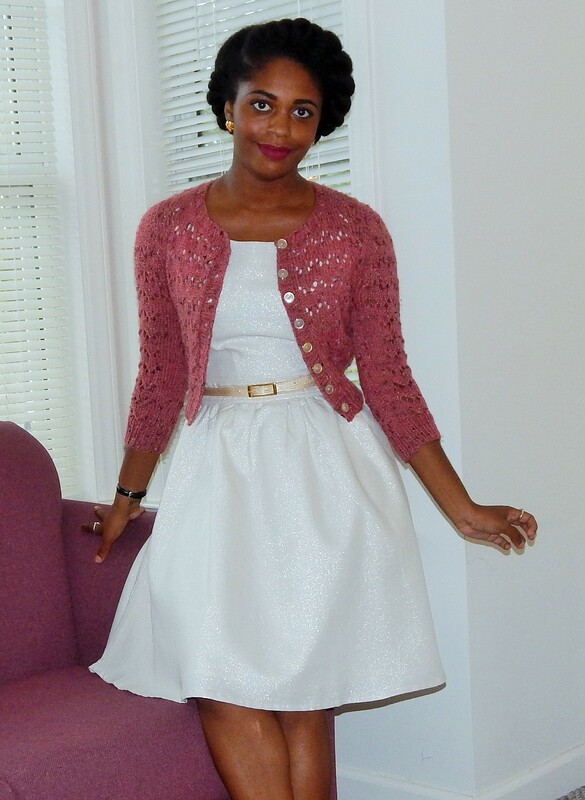 The dusty pink is very elegant to me and goes perfectly with the lace pattern. To date, this is my most cardigan. I wear it year round and it goes with almost every dress in my closet. A to Z – I consider this my varsity sweater. I like that it is personalized for me because of the ‘C’. I don’t wear it much in the hotter seasons so, I am looking forward to wearing it soon. The color combination is just perfect to me. 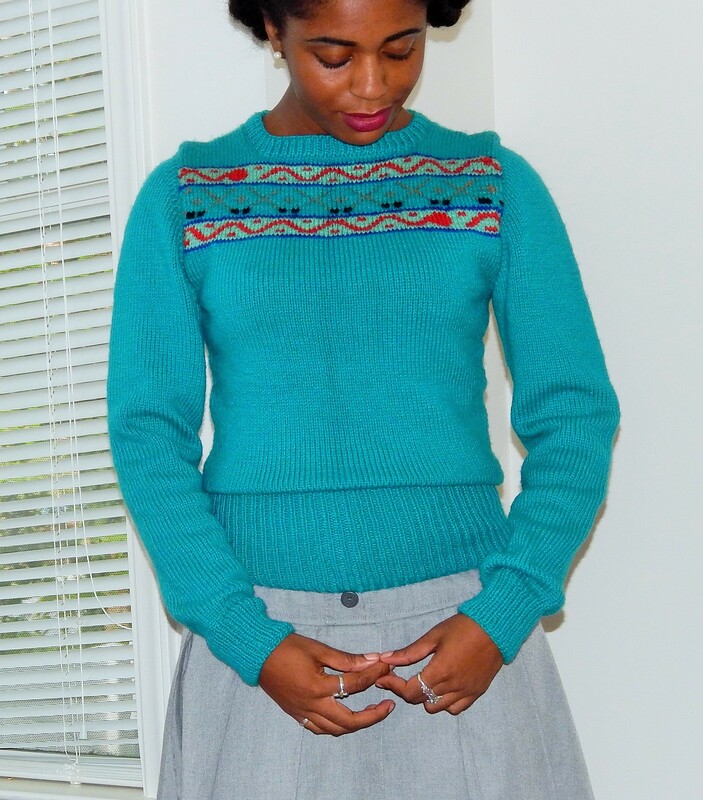 Geraldine – This sweater had to make the cut. It’s named after my aunt. LOL. JK. But seriously, this sweater lets the world know that I am a knitter and I love it. How adorable are those knitting needles and yarn motifs. Perfect. I can’t wait to wear this with the matching hat during the colder months. Hetty.2 – I loved my first Hetty so much that I had to make another. Initially, my second was supposed to be in a forest green but, I went with a loud red. I love it. Hortencia – Yes, it’s black and simple but, I love it. I wear it sooooo much. There is nothing like a neutral sweater to add to your wardrobe. And to this day I love my 2 buttons and giggle every time I think about the story behind those buttons. Well, after much debate I did decide on my favorite Fall sweater. I took into account how often the item is worn, the color, and the design features. It was a close call between Hetty.1 and Chuck. But in the end, Hetty in pink won. It’s in my favorite color, it’s worn once a week, and the lace design is the most beautiful thing. This was fun! I can’t wait to see everyone’s #favoritefallsweater. Aww. Thank you. I simply adore sweater knitting. And Miette is a great pattern to start with. I am sure it will turn out great. I like knitting hats too and always think I could do with more. 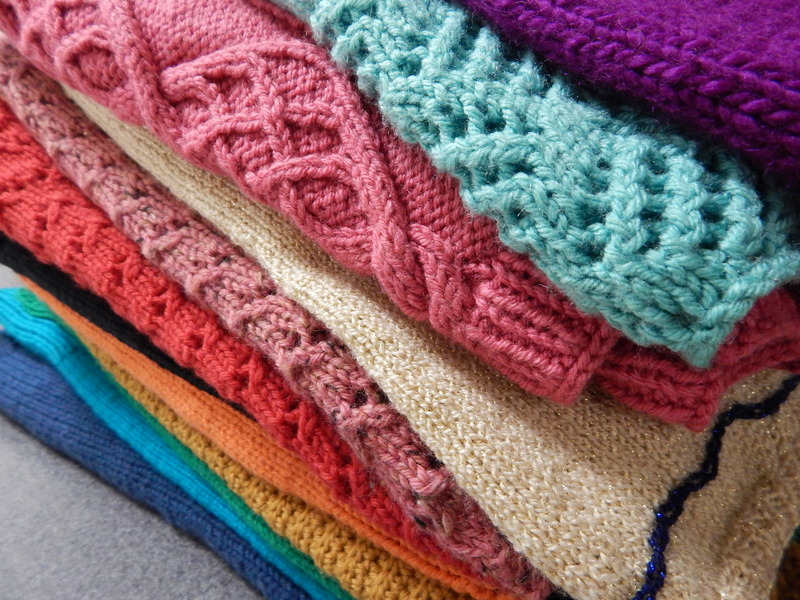 That is a mighty beautiful collection of sweaters! Gorgeous! The sweaters, and you as well! 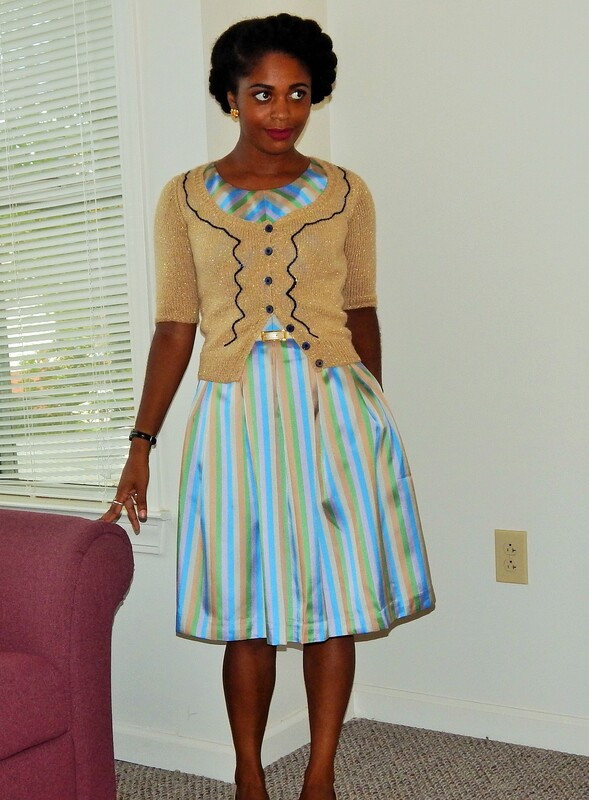 I love love love your retro style with new colors! I am astonished – I woud struggle to finish one cardi. You are really talented AND patient! These are all so beautiful I don’t know where to start. 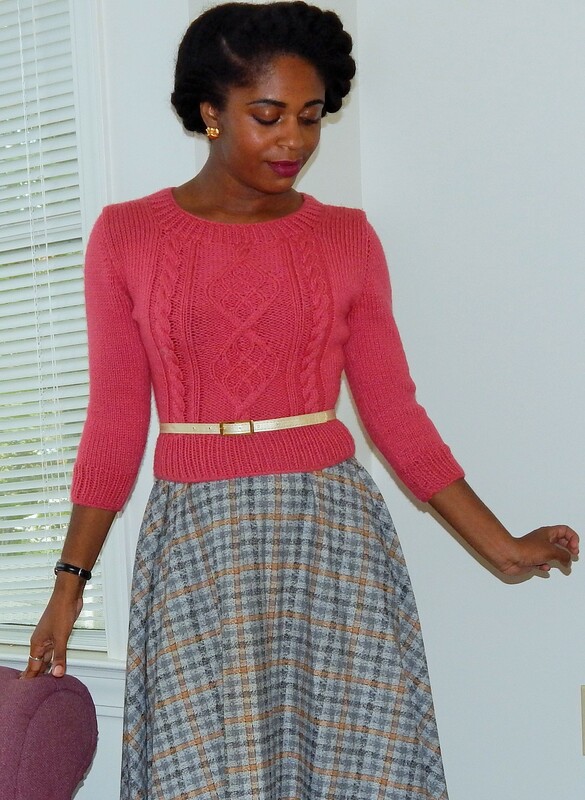 I really love how Hetty 2 pairs with your plaid dress – it’s perfection! The color of Hetty 1 is stunning. So excited to make Hetty, Chuck, the list goes on!